Im looking for information from more seasoned pilots. How long has it been since you could actually adjust the stechiometric title whilst flying like its done in planes that enrich or lean as required. I seem to recall it being doable in piston ships but cant recall when we stopped. Only piston choppers I flew were the R22 and the (barfff!) Enstrom, neither of which allowed the mixture to be fiddled with. No propellor to keep it turning if you accidentally went too lean. Planes were a different matter, but this is not the forum for'em. And it is "stoichiometric" by the way. Edited by Eric Hunt, 27 January 2019 - 01:59. Thanks for the correction. I loosely translated from French. I seem to recall that the earliest versions of the 22 and the 269 had something that allowed some degree of messing with the title. But maybe I’m wrong. Looking for support from older pilots. How old do you want? I'm 68. 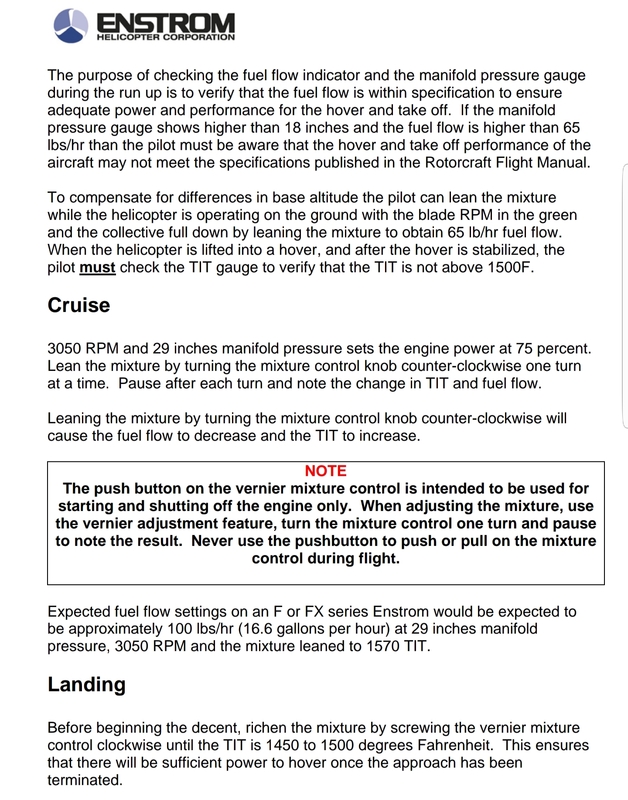 I don't know if we should call the Enstrom a "modern helicopter" but proper fuel mixture operation is essential to flying the turbocharged piston Enstroms. Edited by 280fxColorado, 28 January 2019 - 10:57. I flew the TH55 in '68, '70 and '71. Full rich for all normal operations. Hughes 269/300 B & C models '81 - '83, also full rich. I'd have to get the RFM out, but I believe that full rich for all normal operations. Wow. Never flown or even seen an enstrom live. Not very present in Europe mainland. Does it mean that you could actually lean the mixture too much and shut off the engine in flight? You would have to be extremely careless to accidentally lean the mixture far enough to kill the engine. 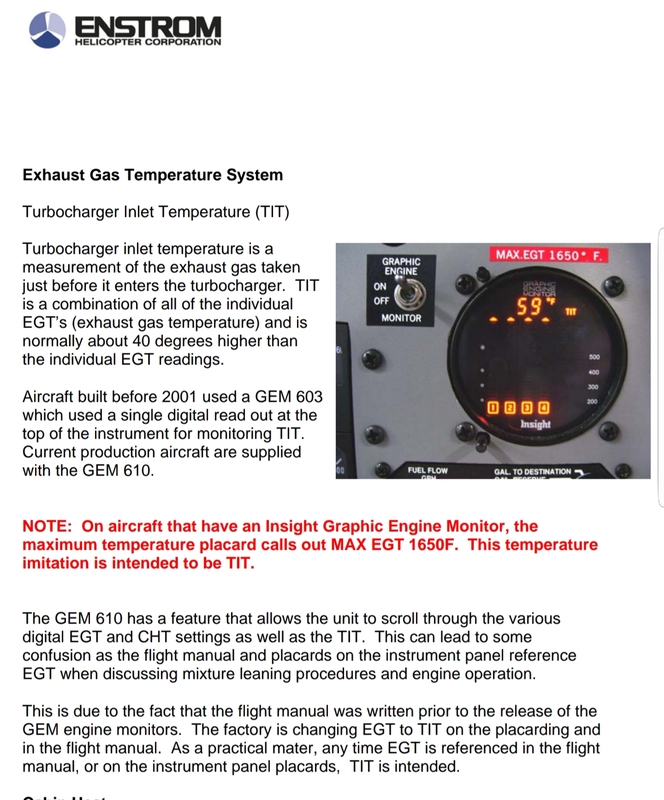 In practice, it just takes a few turns on the mixture control in either direction and a glance at exhaust temps on the Graphic Engine Monitor (GEM) to confirm the desired effect. Verify around 1500°F in the hover, lean to ~1590 in cruise flight for best economy, enrich to 1500 prior to landing. The mixture changes and scanning the GEM for proper temps becomes second nature and really lets you optimize the performance of the machine for best power or economy. I used to fly a 280C that would do 10.5 gph leaned out in cruise at 100kts. 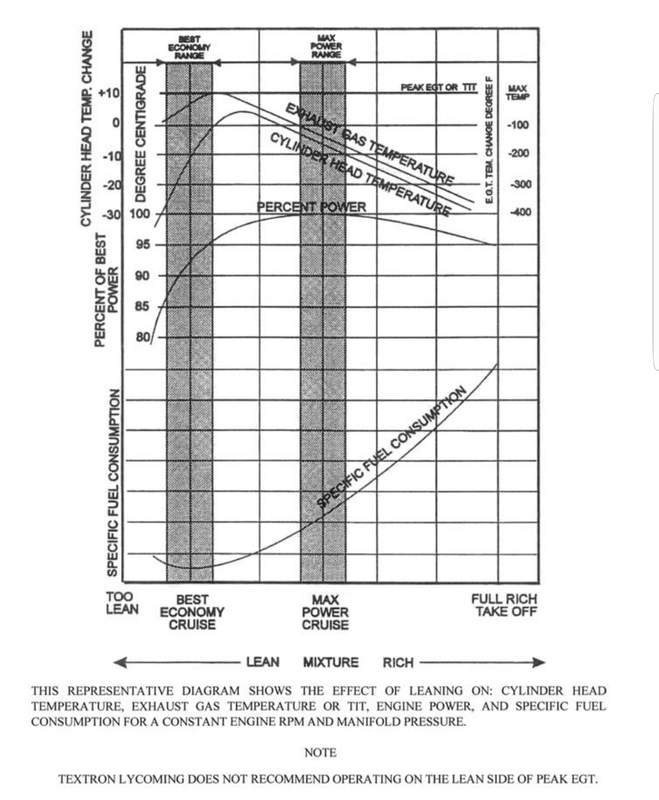 It's been a few years since I've been in the piston Enstroms but if I remember correctly, normal fuel mixture adjustments only take place in less than 20% the full range of travel of the vernier mixture control (within a centimeter of full rich). You would have to go well beyond 50% of the full range of travel before the engine starts running rough and overheating and probably 75% or more before killing the engine. In other words, you'd have to be very inattentive or very stupid to let it happen. Edited by 280fxColorado, 28 January 2019 - 18:18. My Bell 47 (with a Lycoming engine) has an altitude compensating carburetor. It is always full rich while flying. When shutting down the engine with the mixture, the engine stops rather abruptly about 3/4 ways to the cut-off position.